Want to have something this Halloween your neighbors won't have! 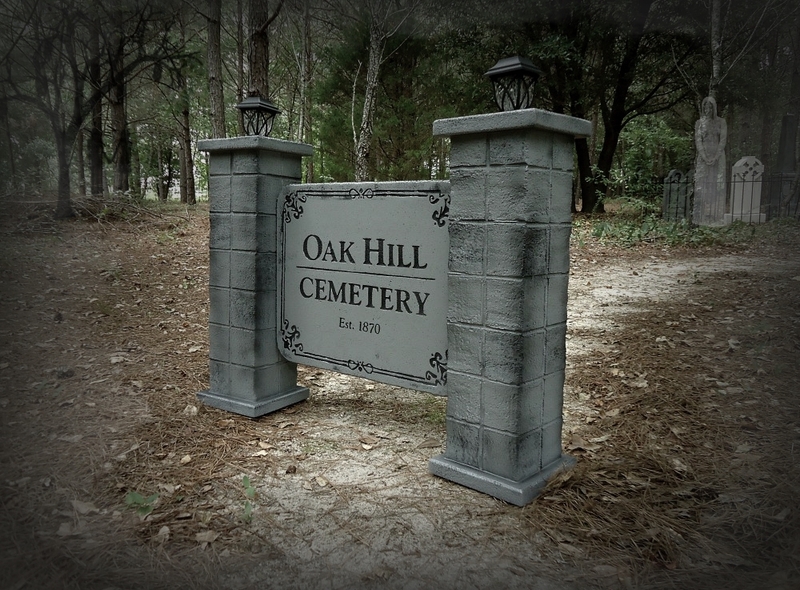 This Cemetery sign is it! 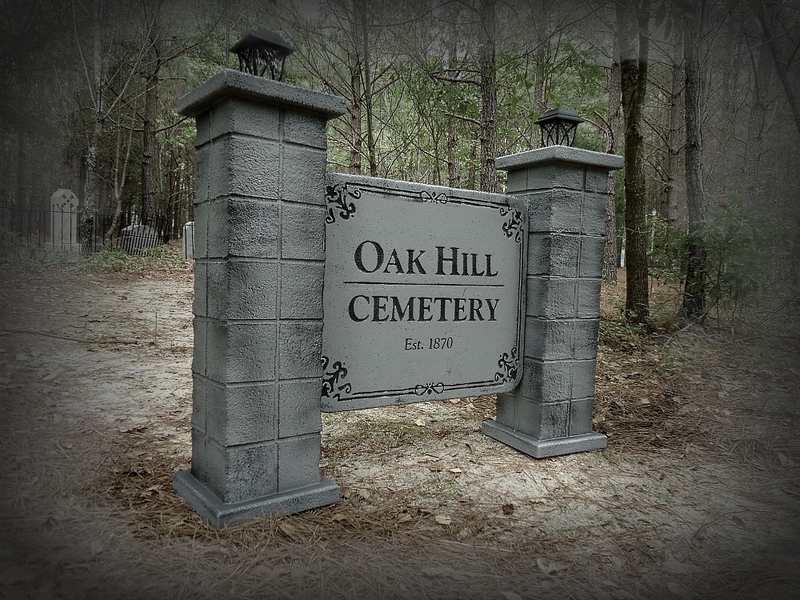 This Exclusive Evil Soul Studios sign features the engraving “Oak Hill Cemetery Est. 1870″ Solar gatehouse lights adorn the top of each column. Perfect for nighttime viewing and lighting your visitor's way. Each sign is also designed for 360° viewing. 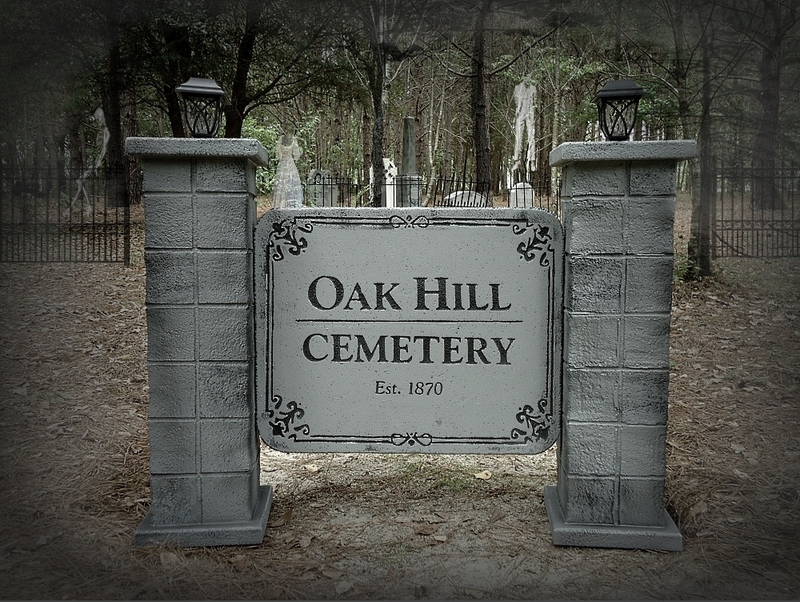 Front AND back are both engraved “Oak Hill Cemetery Est. 1870″ Place horizontal to your graveyard for viewing coming and going, approaching from left or right. Each measures a HUGE 46” W X 32” T X 10” D There is a LIMITED PRODUCTION for 2018 so get yours before they're gone. Created to be as close to true size as possible for a realistic look without being oversized for shipping. Made from weather-resistant rigid foam for indoor -outdoor use and comes with commercial galvanized steel stands. These are a must have for any true Halloween enthusiast. 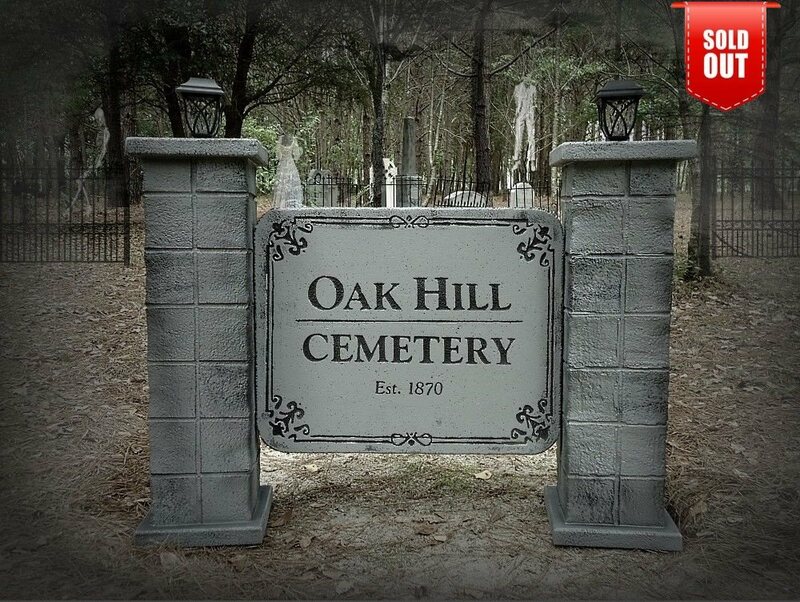 Be the first to review “Lighted Oak Hill Cemetery 2 Sided Entrance Sign” Click here to cancel reply.